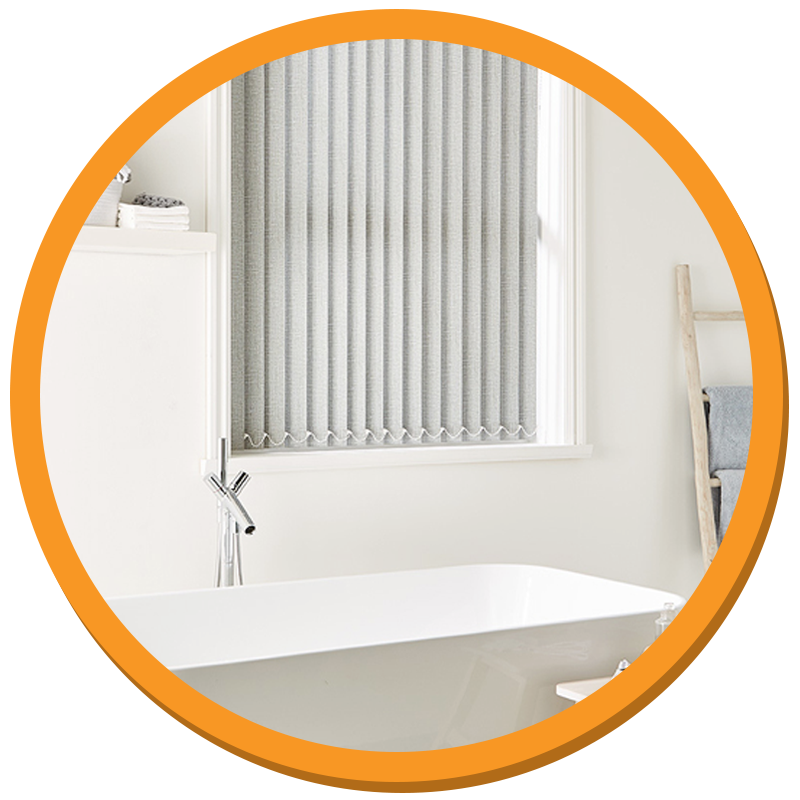 Light control, condensation and privacy are all things you need to consider when choosing blinds for the bathroom. It can be a difficult task as there is often a lot of warm water used throughout the bathroom, making a humid space that can damage blinds if they’re not the right ones. The material must be able to handle the moisture, otherwise you may see an appearance of mould and mildew. As mentioned above, suitable fabrics are an absolute must when choosing bathroom blinds. Steer clear of real woods because they can stain, warp and even twist over time. Be wary of cotton, linen and silk as moisture can get caught in the fibres. Instead, opt for PVC and polyester as their qualities include water resistance, meaning there’s no chance of mould or damage. While this may seem obvious to many, it’s definitely worth pointing out. Curtains are a big no no and there’s good reason why you don’t see them in the bathroom. Blinds are much more practical plus they’re more often than not made out of fabrics that are easily wiped down, without the need for removing them completely. If your shower is close to the window then your blinds may be getting hit with excess water and if they’re not waterproof, you could see damage down the line. Choose showerproof and waterproof blinds to combat the splashes, with options available include beautiful roller blinds and faux wood or aluminium venetian blinds. 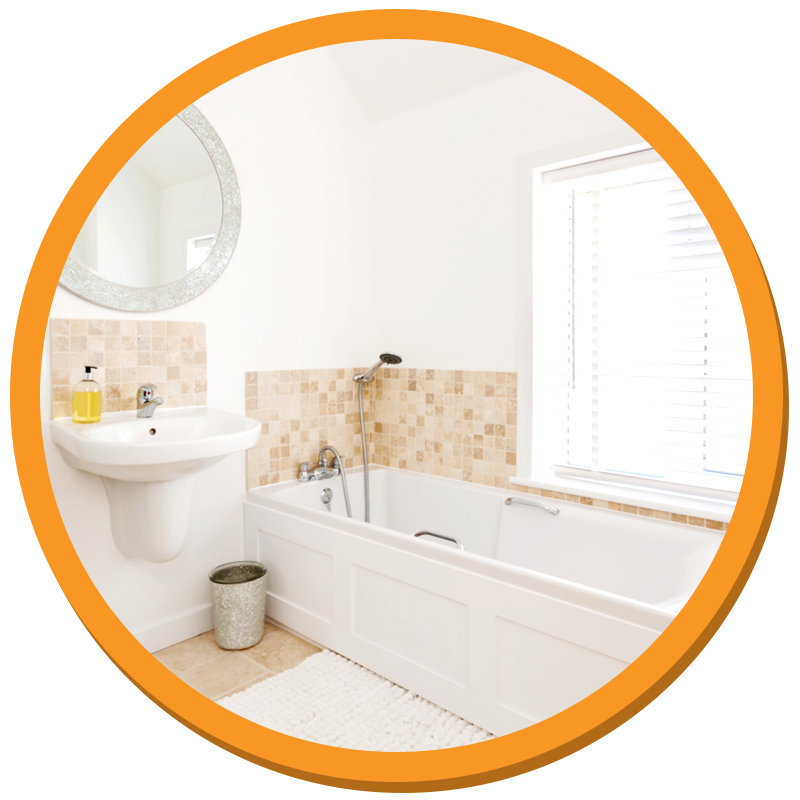 Privacy is a must for the bathroom, whether you’re enjoying a relaxing bath, having a soak in the shower or brushing your teeth before bed. The last thing you want to see is your neighbour peering through the window, and we’re sure they don’t want to see you either! A simple roller blind or set of venetian blinds can offer great privacy, giving you the freedom to open them and adjust light levels as you wish. While privacy is one of the most important factors to consider, light is also very important. Don’t block out the only natural source of light with heavy blinds, instead go for a less dense material for roller blinds and diffuse the light instead of blocking it. Don’t worry, it’ll still maintain your privacy and ensure you can bathe, shower and wash in peace, whether it’s at night or during the day. There are so many types of blinds to choose from and each style has its own benefits. We all have our own personal preferences and when it comes to bathroom blinds, there’s no change in that. Keep in mind the tips and factors above and check out the various styles on offer for you to choose from. 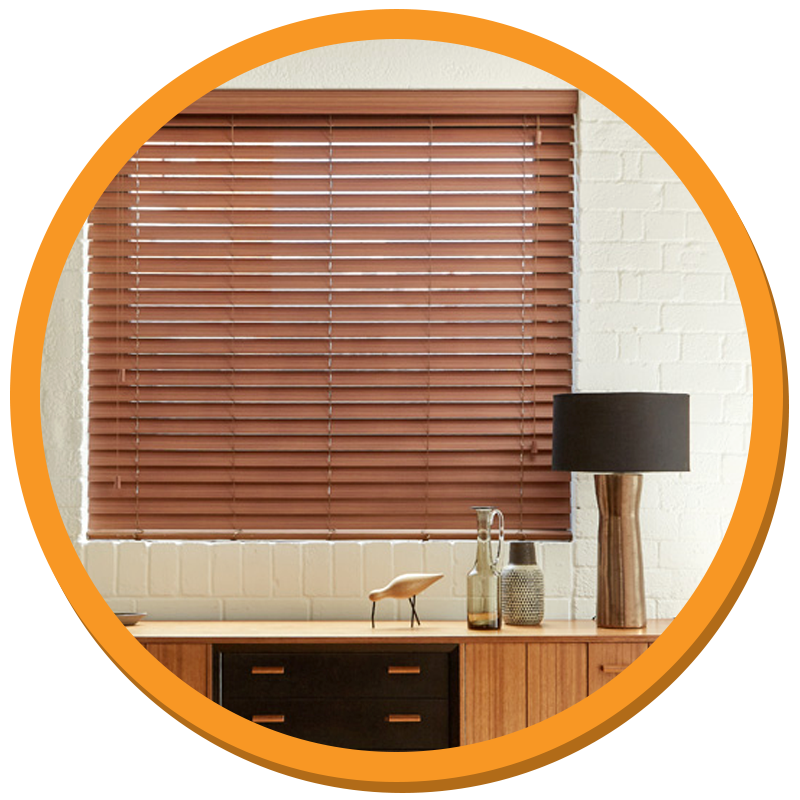 From aluminium blinds to wood effect blinds, there’s something for every home here at SoEasy Blinds. With all of the great characteristics of wooden blinds without the qualities that would make them a poor choice for the bathroom, our wood effect venetian blinds are the go to option. They offer a natural feel and if you’re looking for a wooden look then nothing else compares. We strongly recommend not choosing actual wooden blinds due to the damage the moisture will cause so wood effect blinds are the next best thing. Another option to consider for your bathroom is our aluminium venetian blinds, you can get buy them in a range of finishes, colours and styles. With complete control over light and privacy, these blinds are the ultimate choice for a bathroom and offer practicality as well. Browse our aluminium blinds today and find out for yourself why so many people use them in their bathrooms. 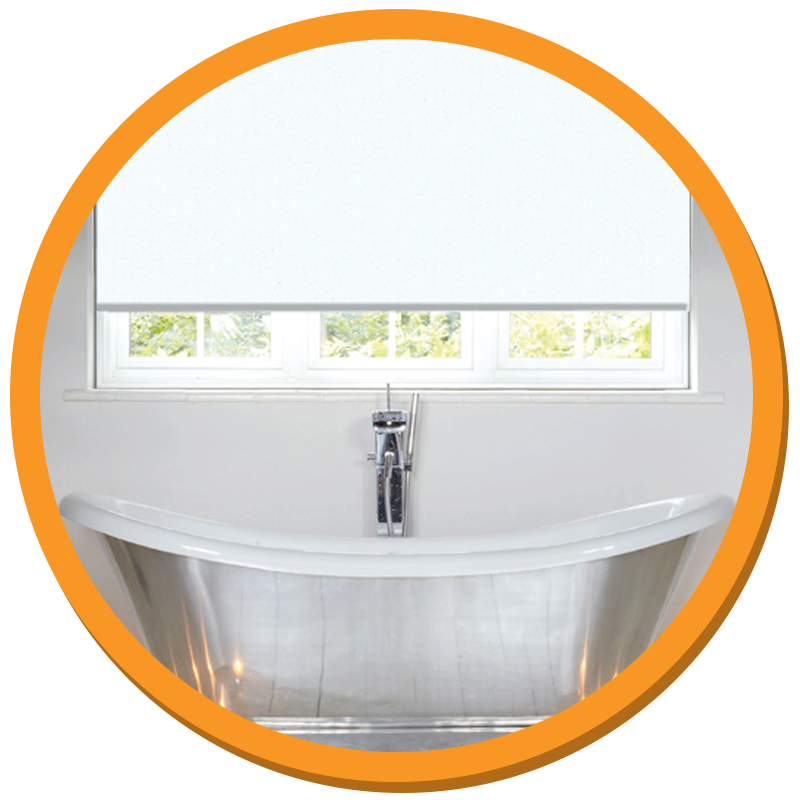 Our water resistant bathroom roller blinds are the best choice for your bathroom. Available in a range of fabrics, styles and colours these waterproof, easy to clean blinds are the go to option for many across the UK. With the added blackout characteristics you’re guaranteed privacy so you can enjoy a relaxing soothe in peace. Browse the colourful range of bathroom roller blinds today and save up to 60% off high street prices. Much like our bathroom roller blinds, these vertical bathroom blinds are water, moisture and condensation resistant, meaning they’ll last for a long time while maintaining their quality. Shower and bathe in peace with the adjustable slats and control the amount of natural light you allow into the room too, these vertical bathroom blinds are a great option for those who want a simple and hassle free installation. Whatever type of blinds you choose when buying for your bathroom, rest assured that here at SoEasy Blinds you’ll find the best quality and most stylish blinds there is to offer. Maintain your privacy and control the natural light with our adjustable blinds available in both vertical and roller blinds. You may be thinking about your privacy and the light but it also comes down to style. There are a wide range of options available, and with expert advice we offer to all of our customers, we can help you find what’s best for your home if there’s anything you’re unsure about. If you can’t find what you’re looking for, get in touch with a friendly member of our team and they’ll help you through the process of selecting the perfect blinds for your bathroom.